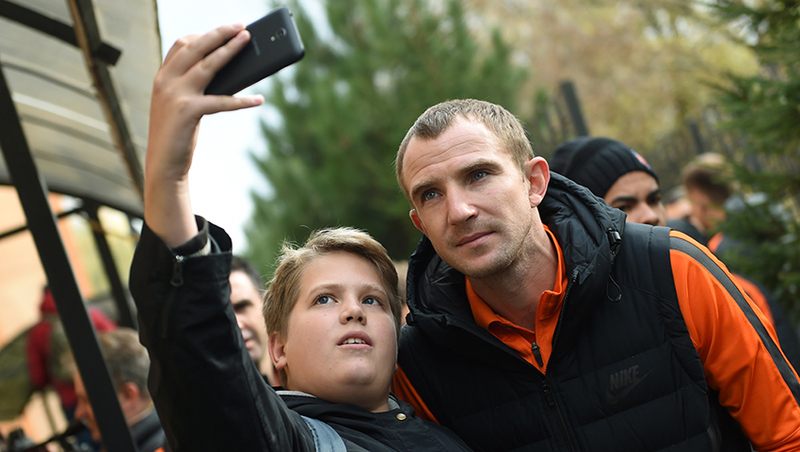 The arrival of Shakhtar to Sumy caused quite a stir among the local fans. Therefore, the morning walk began with a long photo shoot and an autograph session. The team captain Darijo Srna enjoyed the greatest popularity among the fans. After a half-an-hour walk around the lake, the Donetsk team returned to the hotel. Next on the schedule are lunch and departure to the stadium. Shakhtar are playing in their white-orange kits this afternoon. Let us remind you that the Donetsk derby Olimpik vs Shakhtar kicks off at 17:00 EET and will be aired live by Futbol 2 channel. Follow the live commentary and webcast on shakhtar.com.